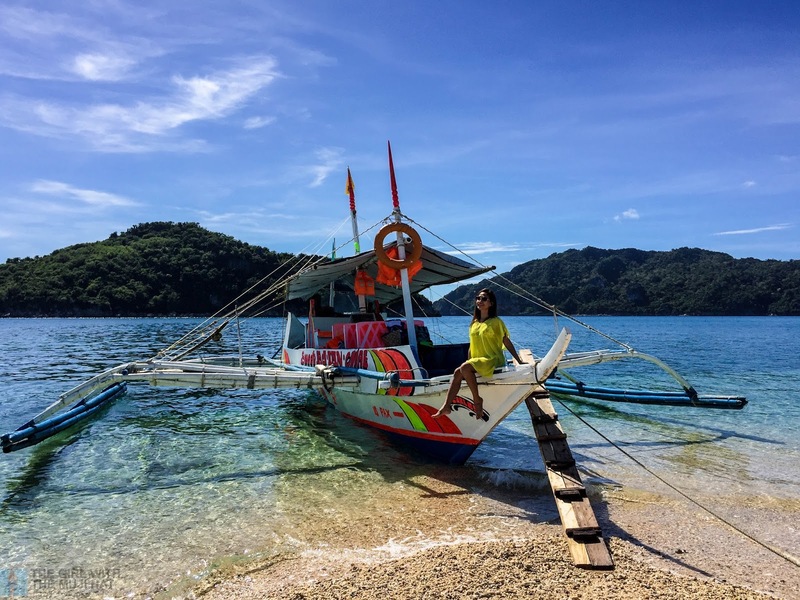 Here's all you need to know about Gigantes Island Tours and Services before booking a Gigantes group of islands adventure with them. 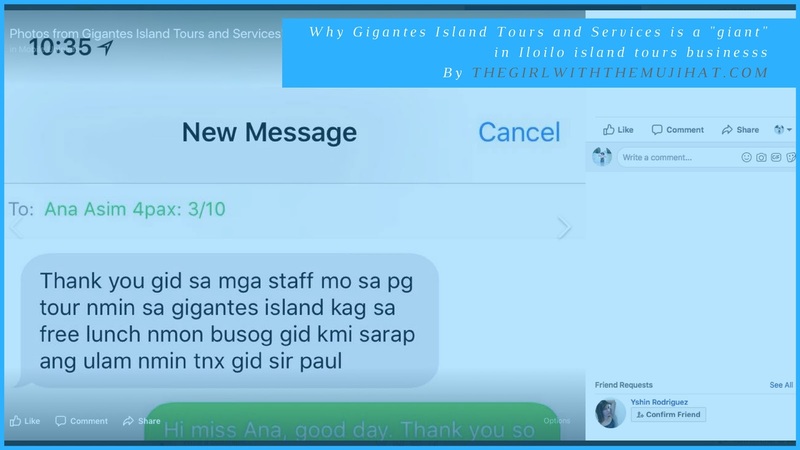 With more than 137 thousand active followers on Facebook, and at least 22 guests per tour operating daily 30 days a month, Gigantes Island Tours and Services is undeniably a giant in island tours business in Carles. I had the chance to join its day tours and it occurred to me why it is well-received. Gigantes Island Tours and Services is among the tour agencies that provide package tours to Gigantes group of islands in Carles. The municipality of Carles has the most number of tourist arrivals as per the record of Iloilo Provincial Tourism: 36, 229 visitors in 2015. I imagine this number to have increased in the subsequent years. 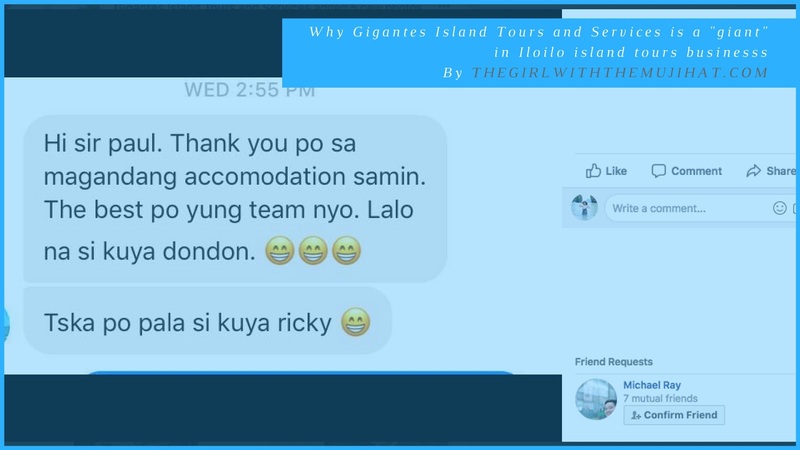 If you key in gigantes tours on Facebook search box, the top find would be the Gigantes Island Tours and Services page. And if you visit this travel agency's page, you'd find excellent responses from its clients (also a fair engagement with its followers). Gigantes Island Tours and Services is a legitimate business. Guests who have availed its tours have already proven this, no one has ever reported he or she got scammed. Most importantly this travel agency is registered under its owner Mr. Rhett Paul and has a sanitary permit to operate. Its office address is in BGC Taguig. As of 8th March, another office in Carles is in the works. 2. Its ad contents are complete and concise. 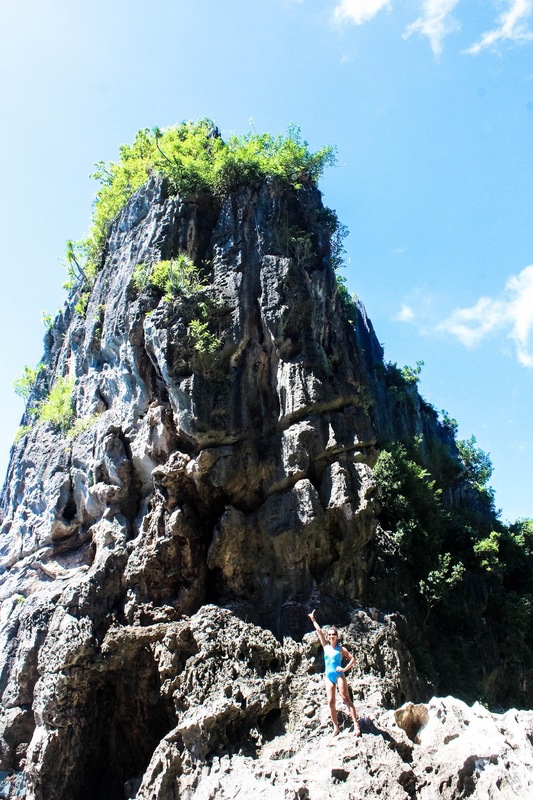 All the information a traveler needs about a package tour is clearly stated on Gigantes Island Tours and Services post. The ad is open, honest and (usually) witty. It is very transparent, tourists would know what to expect in the tour and what not. With this format, the agency is opening doors for authentic relationship with its client. 3. Its package tours are affordable (and competitive). You can avail of a day tour at Php 999 per person or a 2D/1N package for Php 1699 per pax. The price of the tours across tour agencies in Carles doesn't make much difference so an agency's edge would be its promos. 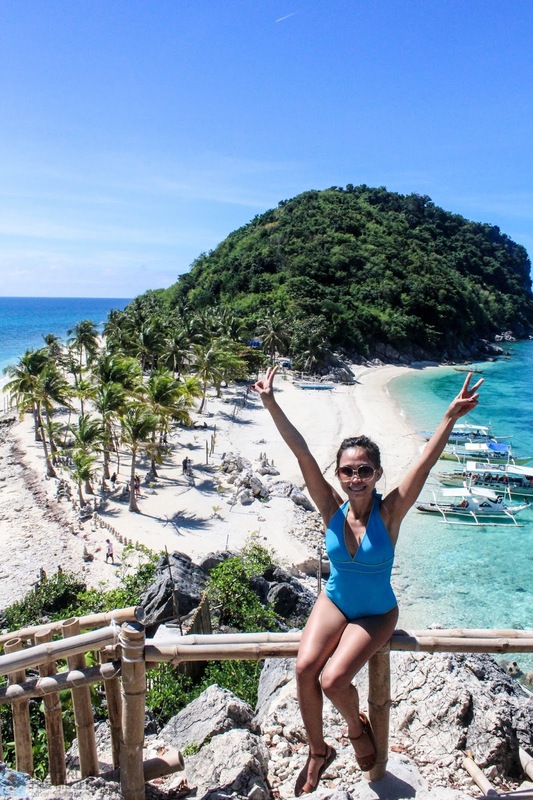 In the case of Gigantes island Tours and Services, it offers birthday discount promos that's 10%, freebies such as underwater smartphone case, unlimited drinks or even unlimited scallops, and lower package price for those traveling in groups. 4. It has no hidden charges. 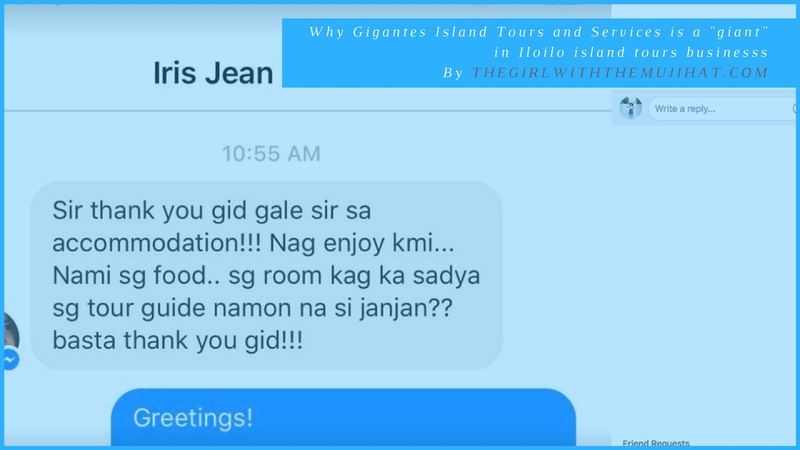 Gigantes Island Tours and Services employs transparency in their marketing. Having this said, you can expect to know everything: how much in total you are paying and what you are paying for. There are no hidden costs and never any unwanted surprises. 5. It sticks to its mission. Indeed, customer satisfaction is among the main goals of any hospitality business. Gigantes Island Tours and Services achieves this by staying true to its guiding principle: "Our best promo is our service." Client testimonials back this up. I experienced it first-hand too. I am very pleased to say that most of the staff who assisted us during the entire trip have managed to make a genuine connection with us: the boat men who helped us carrying our stuff or whenever we got on and off the boat; the island locals who prepared our food and made sure we ate well; the boat crew who threw in punch lines to keep us all amused; the captain who highly valued the safety of everyone; and another boat crew who took our photos cheerfully (and skillfully). Shout out to kuya manong who willingly took our videos and photos. Too bad I could only tip him Php 100. I wanted to give him more but I didn't have extra cash with me. But I hope more people would tip him especially when he's the type who never gives any hint of interest in gratuity. You really made us happy we couldn't help but jump!!!! The following is a sample of what you can find on Gigantes Island Tours and Services package tour post. Note that this is for joiners and not for those traveling in groups. -We do have a stable voice coverage both Globe and Smart- smart phones may access the web at times. -Our boats are certified and MARINA registered, so guaranteed that it’s sea worthy. -GENEROUS SERVING and you can ask more for free! I'm glad I made it here!!!! Guests should note that the sequence of the islands to visit may not be followed chronologically depending on the sea condition. 1. 30% Deposit thru bank and please do send us a copy of the deposit slip on our page for records and for booking confirmation. 2. Please be advised that since it is a joiner tours everyone should be expected to arrive on time. 3. 100% refund on your deposit if in case the tour gets cancelled due to a bad weather condition. 4. 50% refund on your deposit if you missed out your flight to Roxas or Iloilo and that way you can’t join the tour. 5.In line with the itinerary, it may change from time to time depending on the weather condition and there are some islands that cant be visited if the sea condition is bad so expect that chances are; we will not able to follow the itinerary. 6.The captain of the boat and the tour operator has the right to cancel or terminate the contract even though you are already in the island if there's any unusual behavior including too much complain that can cause a delay to our tour. 7. Always respect the locals. 8. The most important rule: be friendly and enjoy the tour. 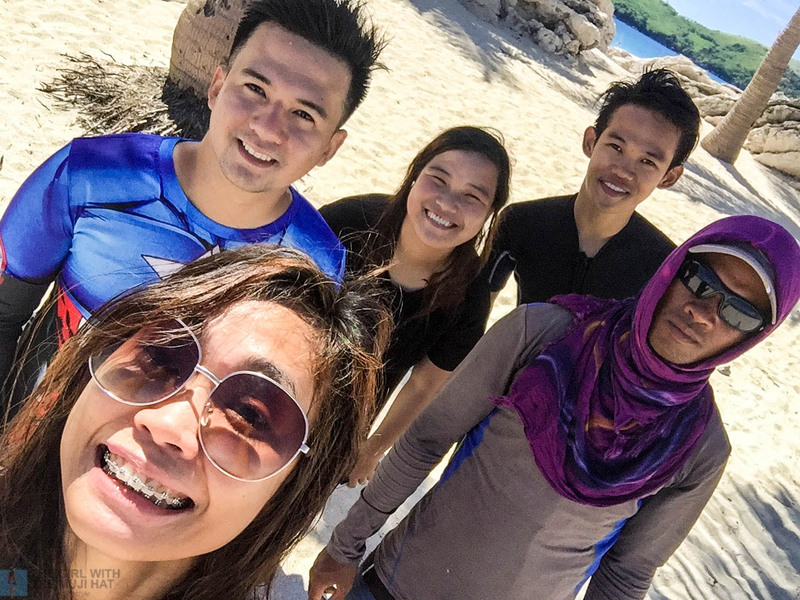 Thank you so much Mr. Rhett Paul, Ms. Sandy, manong bangkeros, everyone who assisted us on our trip... you did give us all a memorable adventure in Gigantes group of islands! I would be happy to go back to Carles in the near future and book Gigantes Island Tours and Services in a heart beat! 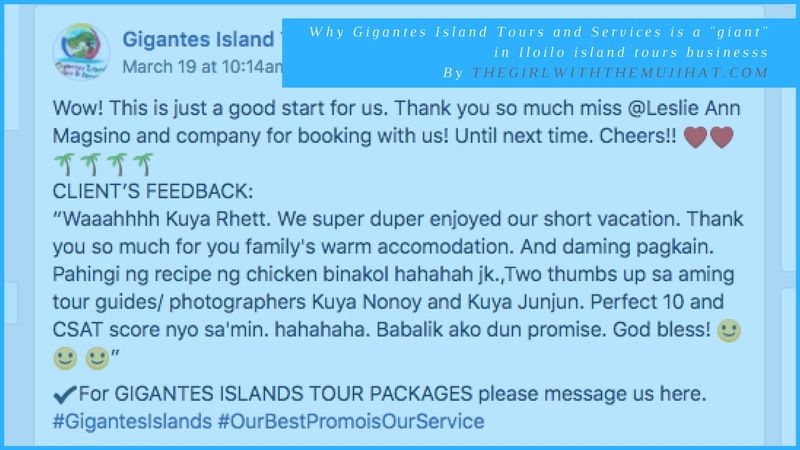 We are not the only ones who are happy about experiencing Carles with Gigantes Island Tours and Services. 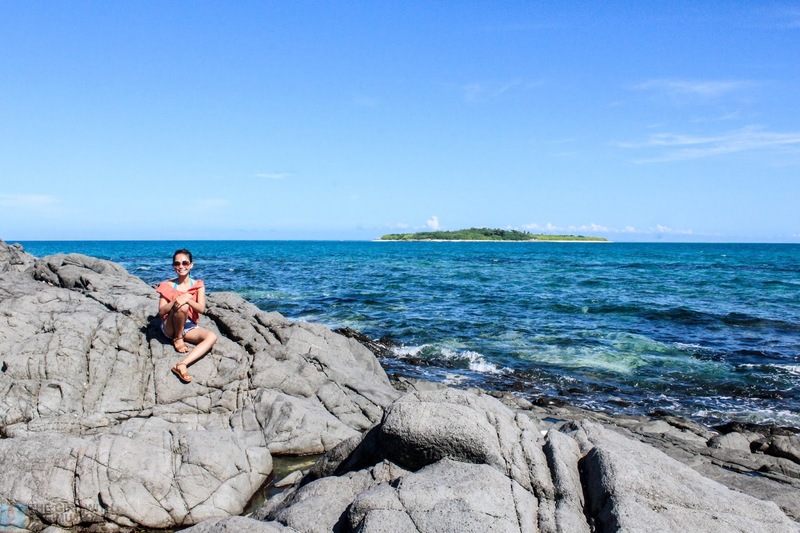 You can reserve a tour for a great Gigantes Island adventure here. 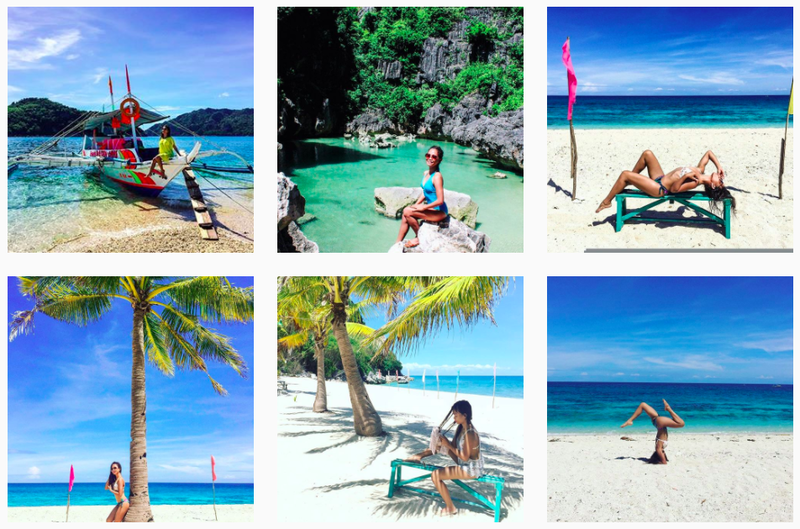 Gigantes Island Tours and Services gains customer loyalty because it values them highly. This is seen in the travel agency's commitment to providing reliable package tours as well as excellent customer service. Try to experience a Gigantes group of islands adventure with Gigantes Island tours and Services, you'd be convinced! 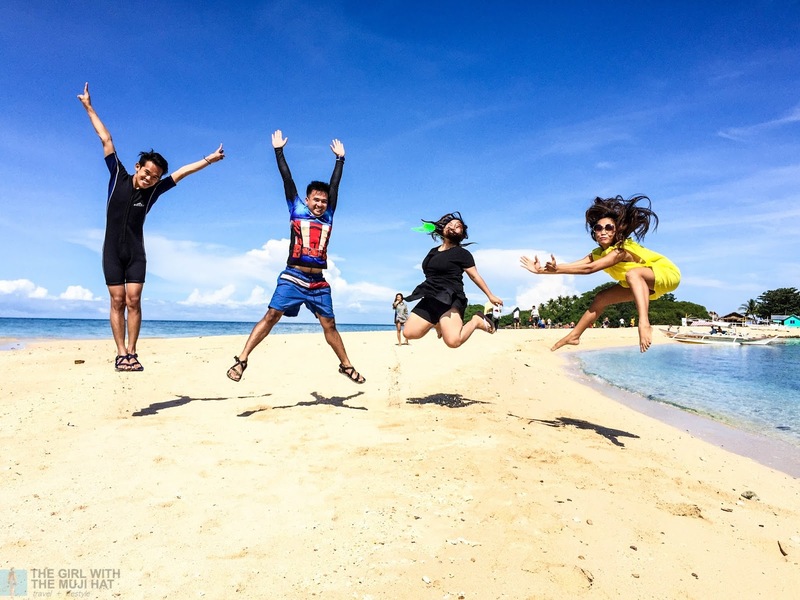 Ever heard of this travel and tours agency in Iloilo? How was your experience with them? Would you like to avail of their tours? Let us know your thoughts in the comments section below. Thank you for dropping by!